The beloved host of QVC’s In the Kitchen with David is back with a brand-new cookbook featuring 110 comfort food recipes that save on time — without skimping on flavor. Time is the one thing everybody wants — and the one thing nobody has enough of. Time to spend with your family, time to share meals together. Now, thanks to David Venable’s supermarket shortcuts and an array of innovative kitchen appliances, you can save precious time and still prepare incredible meals. Loaded with mouthwatering full-color photographs for every recipe, Comfort Food Shortcuts is a cookbook you’ll have plenty of time to return to again and again. 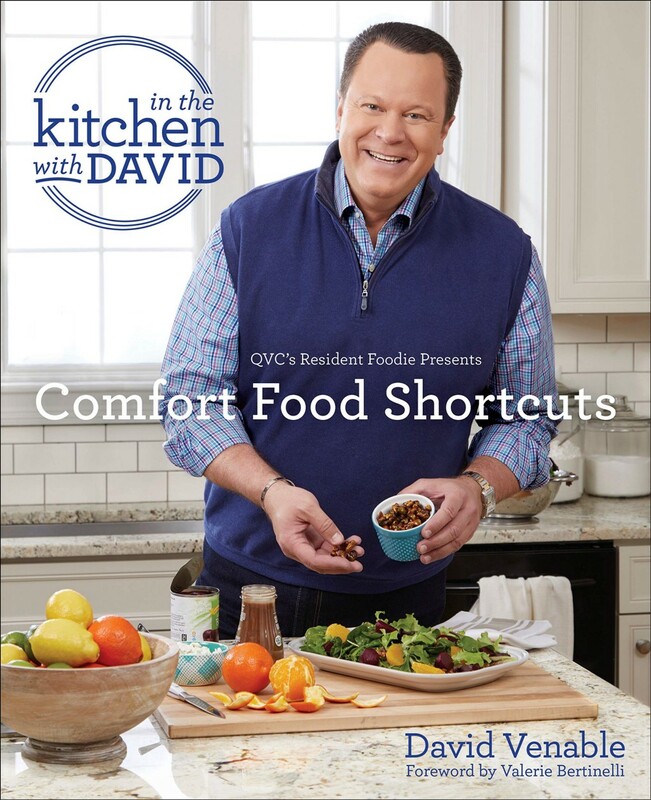 David Venable, bestselling cookbook author and accomplished home cook, is QVC’s Resident Foodie, program-hosting on the network since 1993 with more than ten thousand hours of live television under his belt. He debuts two new recipes each week on his hit show In the Kitchen with David. Since the launch of the first series companion cookbook, followed by Back Around the Table, Venable has appeared on Today, The Chew, and The Rachael Ray Show, among others. His recipes have appeared in People, HuffPost, and many other publications. Venable has received praise from the food world for his easy, comforting cooking style, and he regularly connects with his foodies on QVC online as well as Facebook, Twitter, and Instagram. Prior to joining QVC, Venable earned his bachelor’s degree from the University of North Carolina, Chapel Hill, then worked as a television news anchor/reporter in West Virginia and Pennsylvania.